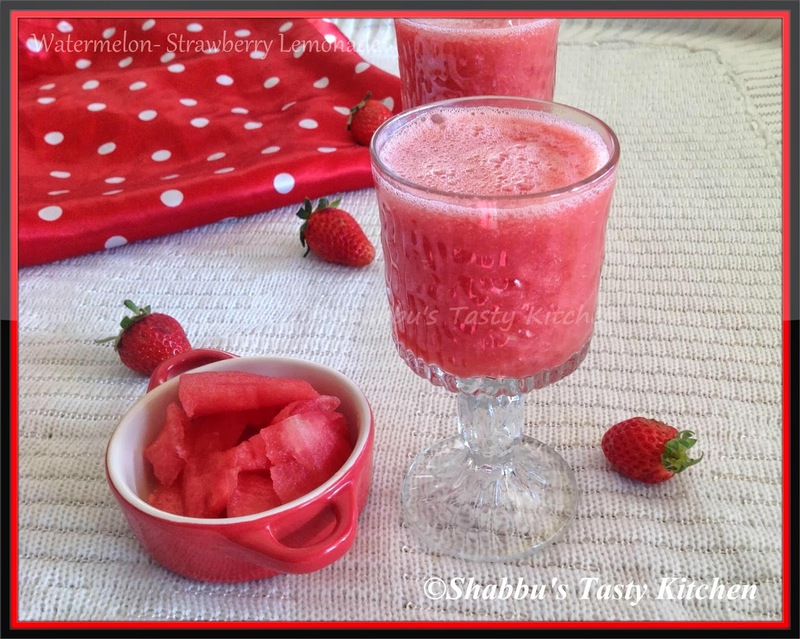 In a blender, add chopped watermelon, strawberries, lime juice, sugar and water and blend well. Love the colour as well as the fruit combo mentioned in d lemonade. Nice presentation as well as clicks.Happy to follow you!! Nicely presented! Very tempting too!